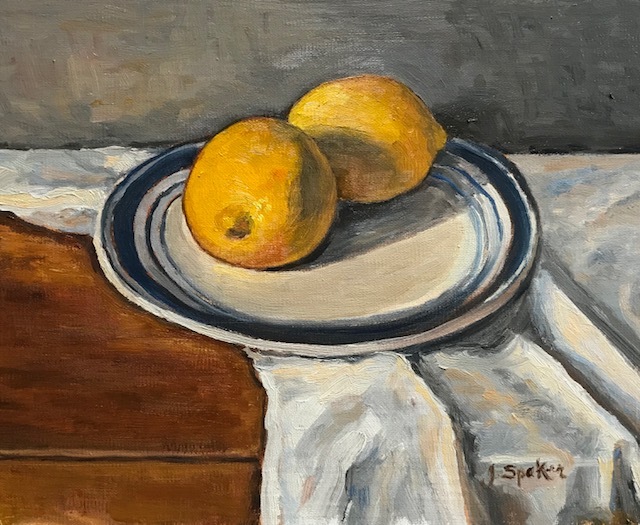 Jen Spaker Art: Lemons, Lemons and more Lemons! 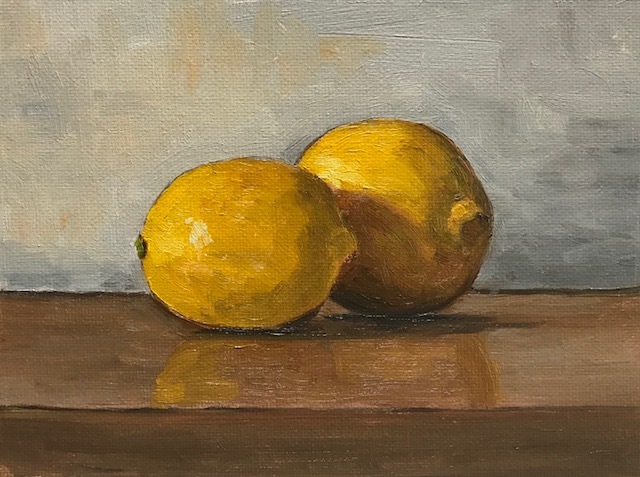 Lemons, Lemons and more Lemons! Enjoyed painting these. I have a new admiration for lemons. 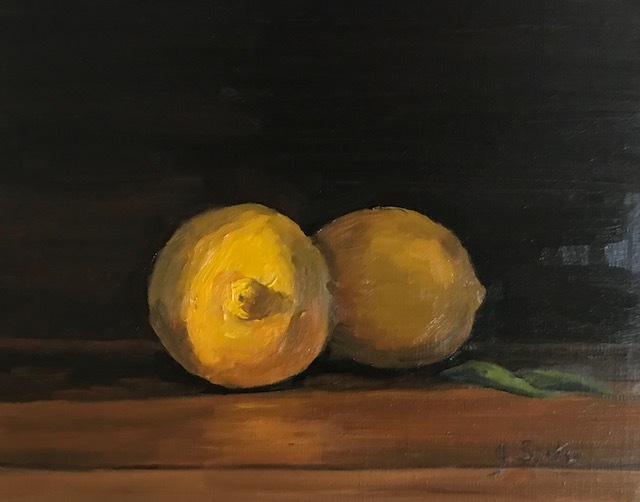 Lemons are much harder to paint than oranges- the yellow color variations can be tricky- warm and cool in the same piece of fruit and it takes some practice to get it right! The top two are 8x10 and the bottom one ( sold) is 6x8 inches.